Our 11 day cycle trip takes you on an unforgettable journey from Saigon to Angkor Wat. Take in some of the highlights of Saigon including the French Colonial Notre Dame Cathedral before heading off to discover the rich cultural heritage of Vietnam and Cambodia on your way to your trip finale, the spectacular temples of Angkor Wat. You'll ride on scenic pathways and roads alongside rice paddies and orchards and through fishing villages. There are many opportunities to learn about the local customs and traditions from staying in homestays, visiting the floating market on the mighty Mekong river and visiting local workshops. Arrive in Saigon and meet your guide. Time permitting take an afternoon tour of Saigon visiting the main sites of Notre Dame Cathedral, the Old Saigon Post Office and the War Crimes Museum. No meal is included this evening allowing you to go out and explore the city further and choose from a lot of great restaurants. A shuttle bus takes us from Saigon to the famous Cu Chi Tunnels, used by the Viet Cong for communication and supply routes and living quarters. A visit to the tunnels gives us an insight into what life was like as a tunnel dwelling resistance fighter. After the visit, we'll get on our bikes and cycle on a great tarmac road to Trang Bang, from where we go cross country by bike or bus towards Hau Nghia and Duc Hoa. We spend the night in a homestay in a village on a small island in the middle of the river, an unforgettable experience giving us a unique insight into the culture of the locals. Today we visit a local rice paper factory, candy workshop and orchards before continuing our ride to Vinh Long city. We then ride on the tarmac road to Long Ho before cycling on quieter countryside roads alongside rice paddies, coconut trees and orchards. We'll stop along the way for a short break and interact with the hospitable locals and take lunch in a local restaurant. Our ride ends at Binh Minh from where we transfer to Can Tho for our overnight stop. An early start to the morning will see us board a local boat to explore the colourful Cal Rang floating market. Boats are laden with fruit, vegetables and fish and the vendors cry out across the waters to advertise their goods. We'll head back to the hotel to freshen up before starting our ride. We'll enjoy lunch in a local restaurant before taking to the narrow lanes of the delta and canal banks before reaching the fishing village of Rach Gia on the Gulf of Thailand. We transfer to Ha Tien where we spend the night. We'll take quiet, scenic roads as far as the border. Its a rural crossing mostly used by local traders which we'll walk across, getting new bikes once we've crossed over into Cambodia! We'll enjoy a gentle ride to the seaside twon of Kep. We'll head out into the gulf today to enjoy the seclided white sand beaches at Koh Tonsai, Rabbit Island. With free time to enjoy swimming and the picnic lunch cooked by the crew before taking the boat back to Kep. We cycle through a Kampot Pepper Farm following countryside roads and enjoying beatiful scenery and a glimpse onto local life before arriving in Kampot, a small but charming town with some beautiful colonial buildings. A transfer by minibus takes us to Cambodia's capital, Phnom Penh, stopping on the way to visit the Tuol Sleng Genocide Museum for an insight into the Khmer Rouge regime. We'll cycle direct from the hotel this morning and head toward the former capital of Cambodia, Oudong. Along the way we'll pass magnificent scenery and meet friendly locals. After a climb to the top of Phnom Oudong where we'll be rewarded with sweeping views of the countryside we'll continue on tarmac roads towards the quiet, riverside town of Kampong Chhnang, known for producing some of the country’s best pottery. Today we'll transfer overland, or by boat to Siem Reap, the gateway to the ancient temple ruins of Angkor. We'll arrive at around 4pm allowing some free time at leisure. We take a shuttle bus to the rose sandstone temple of Banteay Srei before starting the 31km Grand Circuit to the famous ruined, jungle temple of Ta Phrom. One of Angkor’s jewels the temple is overgrown with fig trees, the roots of which have merged over the centuries with the temple’s huge stone blocks, giving the temple a ‘forgotten city’ feeling. Break for lunch nearby Sra Srong lake, the old Royal baths of the king. Continue to the East gate of Angkor Thom the ancient royal city of the Khmer Empire with its centrepiece; the Bayon temple. Your guide will also take you to the Terrace of the Elephants, the Terrace of the Leper King. Time permitting visit other temples in the area before we cycle back to Siem Reap via picturesque country lanes for a well-deserved dip in the pool. An early start this morning to watch the sun rise over the triple towers of Angkor Wat, designated a World Heritage Site by UNESCO in 1992 along with the other temples of Angkor. Explore the vast temple complex, the largest monument of the Angkor group and the best preserved which was built as a Hindu temple in the early 12th century, dedicated to the god Vishnu. We'll head back to the hotel for breakfast and the rest of the day is free for your lesiure until your transfer to Siem Reap airport. This trip takes you from Saigon to Angkor on a mixture of quiet country roads and lanes and wide tarmac roads which are mostly flat. Cycling distances vary from 25km to 90km and a support vehicle is available should you find the distances too long. Transfers are used on many days when you cover longer distances. Fly into Ho Chi Minh (Saigon SGN). Fly out of Siem Reap (REP). We recommend arriving in Saigon mid-morning to be able to enjoy a city tour in the afternoon. On the return departures would be possible for flights after 10am to still enjoy the sunrise, but we'd recommend flights departing after 12pm in order not to rush. For passport and visa information, please check the relevant section on this page: https://www.gov.uk/browse/citizenship/passports. General Travel and health Information for your destination is available on the FCO website. Click here for the latest travel advice for Vietnam, and here for the latest travel advice for Cambodia, and click here for useful ‘know before you go’ information also from the FCO. Please note that this information relates to UK passport holders only and that other nationalities should refer to their own authorities for this information. Bikes and helmets are included. These are usually Trek Marlin 5 or Cannondale Trail 6 and in Cambodia Cannondale Trail 5/6. A range of accommodation is used on this tour. In the larger cities and established tourist centres we use comfortable hotels and resorts, while in Cai Be we'll be in a homestay. All accommodation has a private bathroom. The following accommodation is expected to be used but if they are not available accommodation of a similar standard will be used instead. Rooms are twin/double. If you are a single traveller you have the option of paying a single supplement or sharing a room with another participant. Please let us know your preference at time of booking. 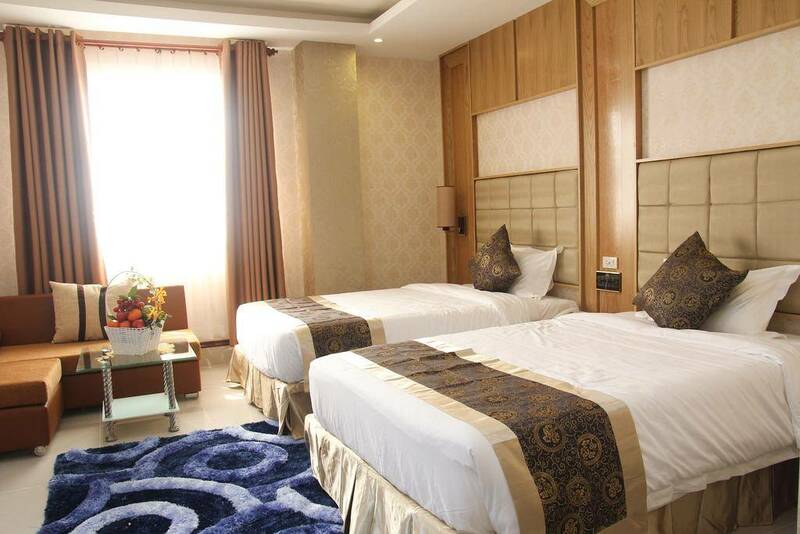 Room facilities include air conditioning, hairdryer, safe, television, free wifi. 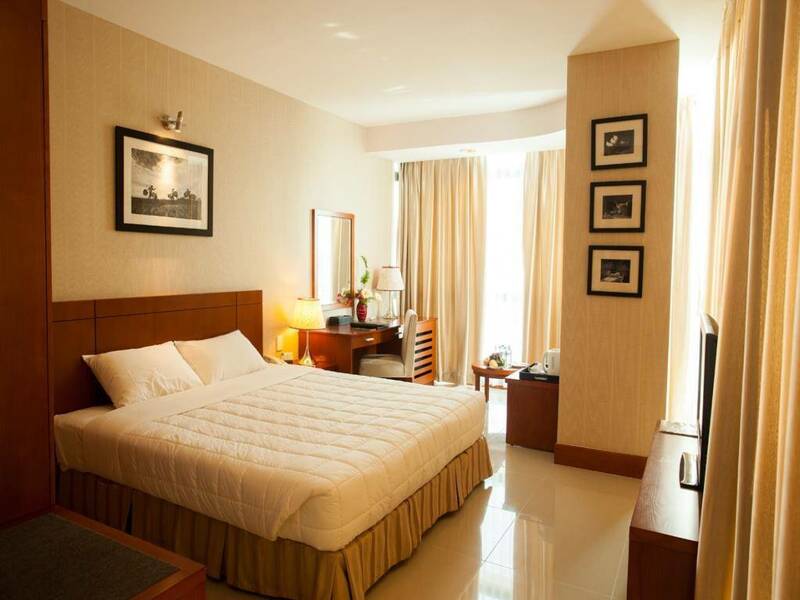 Room facilities include air conditioning, hairdryer, safe, television. There is free wifi in public areas and an indoor swimming pool. 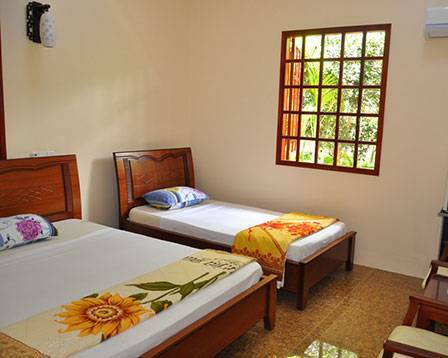 Room facilities include air conditioning, safe, television. There is an outdoor swimming pool. 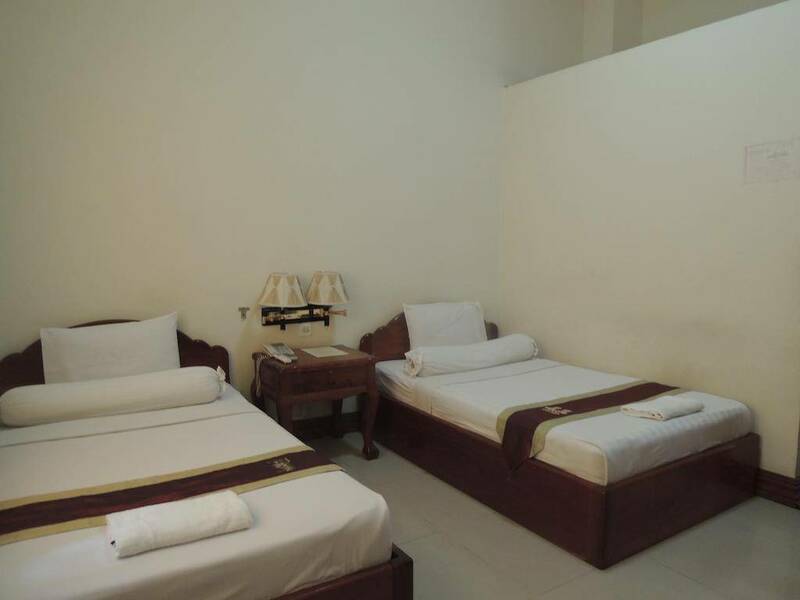 Room facilities include air conditioning and free wifi. There is an outdoor swimming pool. Room facilities include air conditioning, wifi, TV and hairdryer. 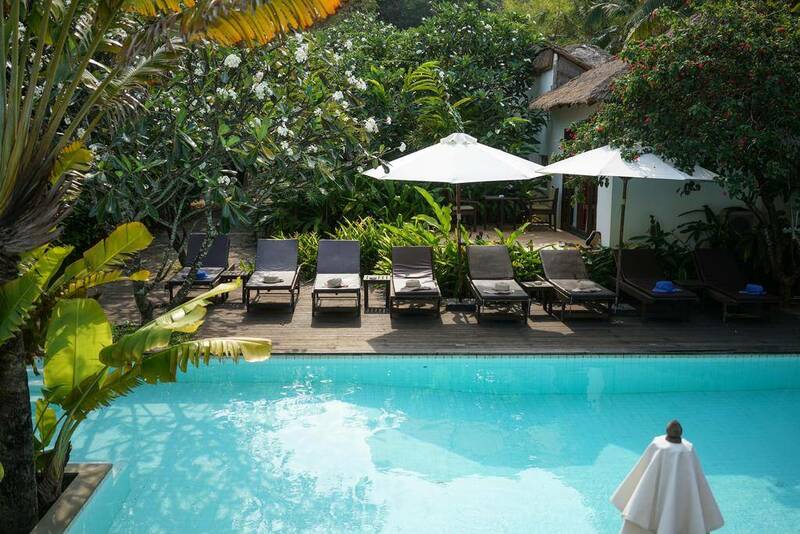 Room facilities include air conditioning, wifi and TV. 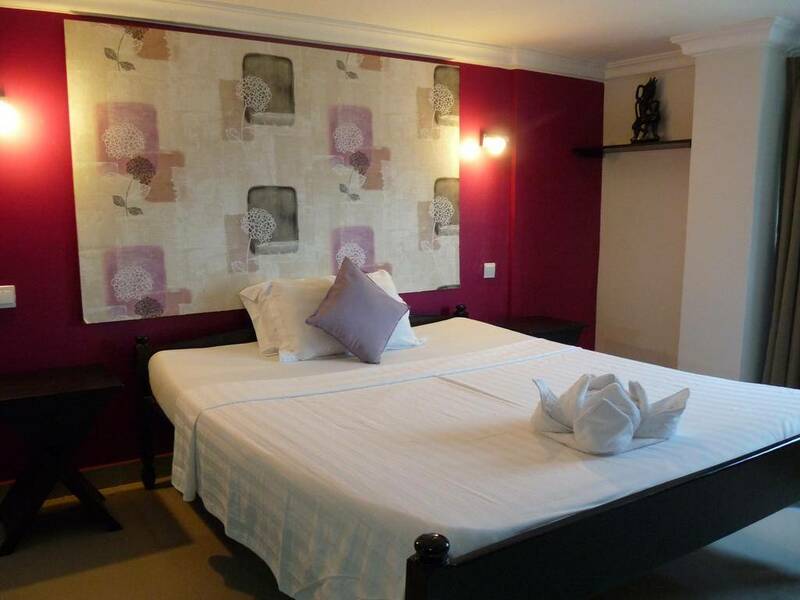 Room facilities include air conditioning, hairdryer, wifi and TV. There is an outdoor swimming pool. This classic, high level bike traverse holiday provides real challenge and adventure, beginning..